Muslims around the world yesterday marked the end of the Eid Al-Adha holiday or the “Feast of Sacrifice.” Considered Islam’s most sacred holiday, Eid al-Adha takes place each year on the 10th and final day of the Hajj, the celebration of the holy pilgrimage to Mecca, in the 12th month of the Islamic lunar calendar. 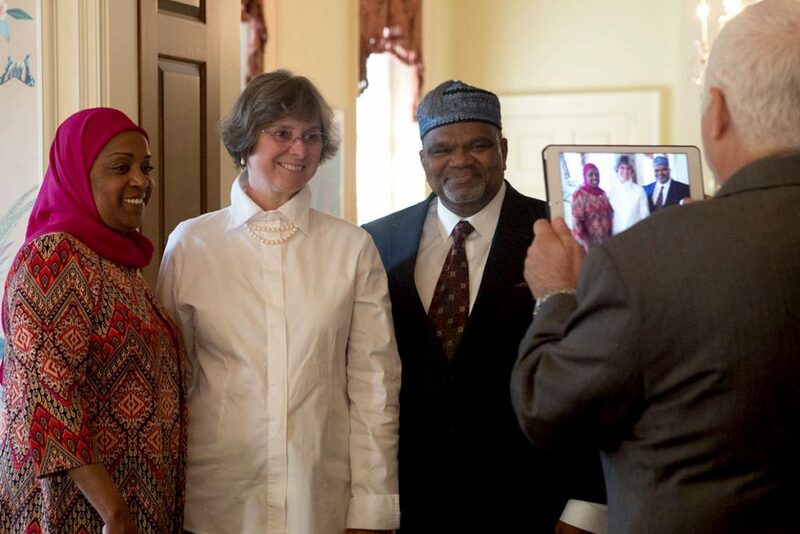 As the sole Muslim member of the current Pennsylvania General Assembly, this year’s holiday was particularly special to me as I was honored to join Governor Tom Wolf and First Lady Frances Wolf for the first-ever celebration of the Eid holiday at the Pennsylvania Governor’s Residence. 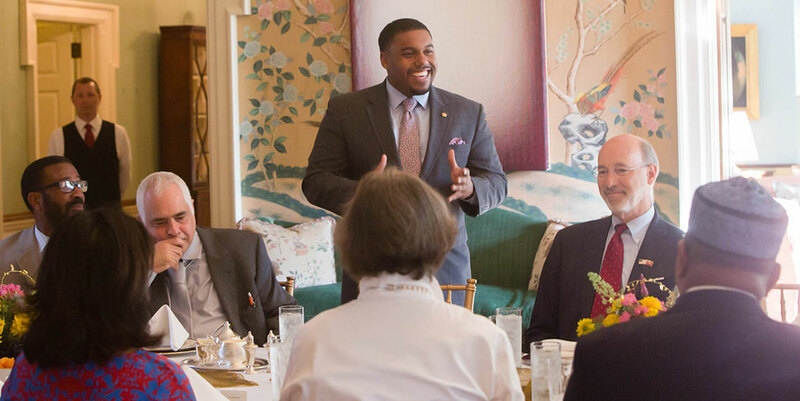 We gathered with nearly two dozen members of the Muslim community across the Commonwealth to break bread together and discuss issues impacting Muslims in Pennsylvania and across the country. Honoring an ancient Eid tradition, the food that was shared during our gathering was divided into three parts – one third we consumed together, one third was shared with friends and family, and one third was given to those in need at Downtown Daily Bread in Harrisburg. 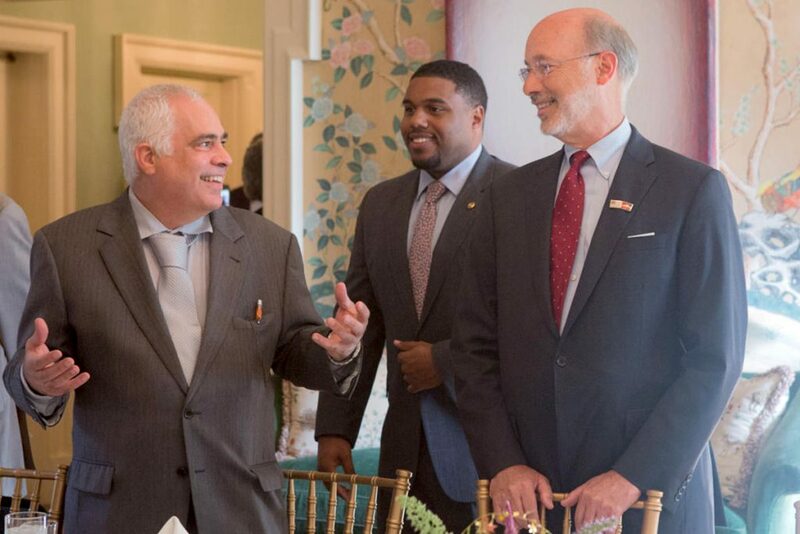 Governor Wolf has long been a friend to the Muslim community in Pennsylvania and I know that his invitation to bring this tradition to the Governor’s Residence was inspired by his genuine desire to build partnerships and to be inclusive of all residents of the Commonwealth. It is my hope that we will all follow the Governor’s lead to welcome and learn from Pennsylvanians of all background and traditions. Eid Mubarak to all those celebrating this week!